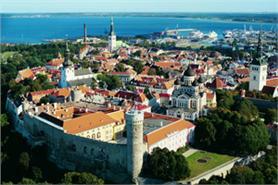 Estonia plans to boost its MICE business in 2012 with new venue developments and increased marketing activity. The Estonian Tourist Board plans to run two fam trips for up to 100 European event planners in April and autumn 2012. Estonian Tourist Board market manager Helina Andruskevitsus said: "People think Estonia is not so well-developed so we are trying to get buyers out on fam trips. We had a fam trip this year and it was very successful." New developments are also set to boost Estonia´s appeal in 2012, including the reopening of the Tallinn TV Tower in May. The landmark building will offer a restaurant, viewing platform, two conference rooms each holding 100 delegates and a ground floor meeting room for 50. The Estonian Maritime Museum Seaplane Harbour is also set to open in May, with event space for 700 delegates. C&IT's Big Debate: Do fam trips offer return on investment?